Anime shows are entertaining. Some more than others. Since I know it can be hard to get into the genre with so many poor shows out there, I’m going to score the current ones I’ve already seen. This way I’ll have a solid idea of what to recommend – and what not to recommend. 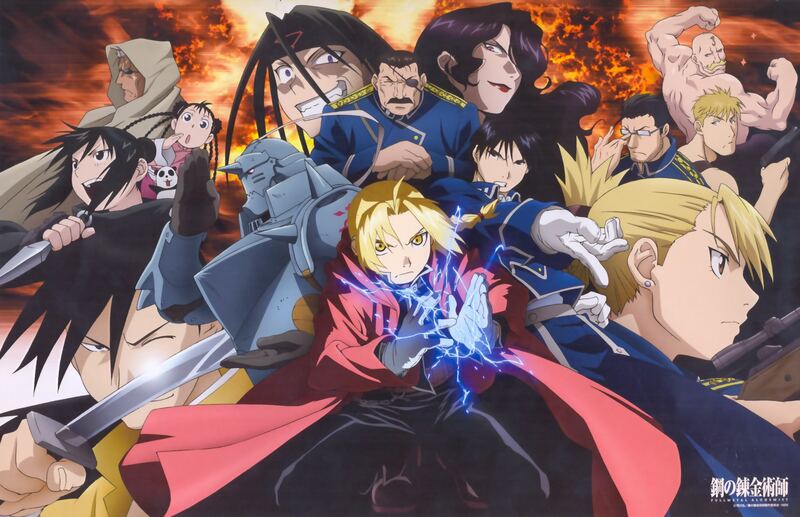 While I definitely enjoyed the first half of the “original” Fullmetal Alchemist, the second half suffered from a lack of real direction in the story and questionable, out-of-character decisions (looking at you, Al). Minor characters that I didn’t really like or care about were given larger, expanded roles (Rose, seriously?! ), so I wasn’t really a fan of following characters who I had little or no reason to care about. The soundtrack’s slow, emotive tracks are still enjoyable to listen to, even if they remind me of the show’s bittersweet finale that was a bit of a letdown across the board. 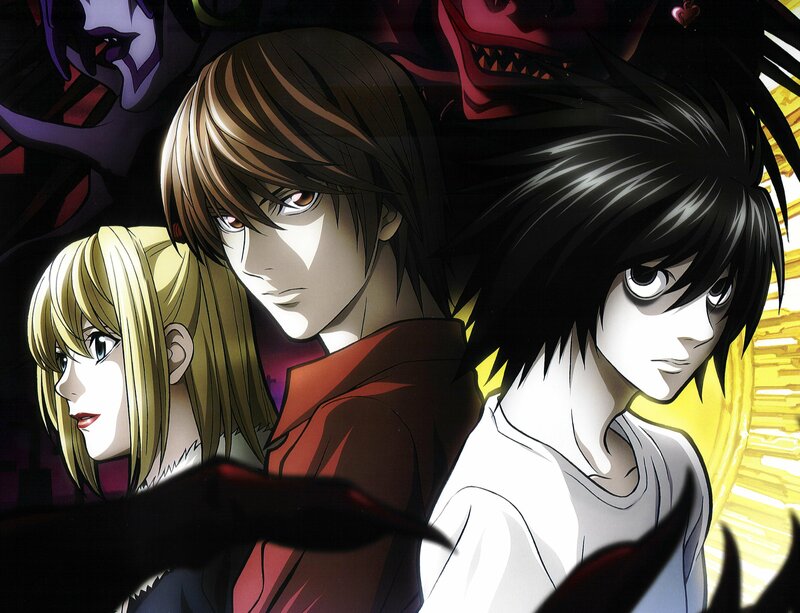 Death Note is a bold, smart, and imaginative show that had me hooked right from the get-go. I appreciated its complexity and was entertained by the little quips of comedy amidst the morbidity of the plot. It took a risk that most shows wouldn’t take- especially three fourths of the way in. However, I wasn’t a huge fan of this risk, and because of it, last bit of the show wasn’t quite as good, though I did like the inclusion of the new characters and consistently clever ideas. The soundtrack does a great job of adding to the intensity of each episode with its creepy, sometimes unmelodious tracks, and the ending made me very happy. Soul Eater had an interesting history to the main plot, which is in part why I forced myself to stay with it, despite the silliness and fan service (stupid Blaire). Despite that, I liked that the show compensated for this with lots of character development. The character side stories were among some of my favorite parts of the show (such as the creepy Little Red Demon side story with Soul). Sadly, the ending felt rather rushed and disappointing, as if the writers weren’t trying to give viewers a compelling ending that was fought for- instead, they handed it off so easily that it lacked any real feeling of accomplishment. Because I had watched the original Fullmetal Alchemist first, I was admittedly very critical of the early, somewhat rushed episodes of Brotherhood. It wasn’t until Brotherhood completely headed off in its own direction that I came love it and acknowledge its superiority to the original series. It has a tight, layered story that reaches such epic heights that you have to appreciate the genius mind of Hiromu Arakawa, author and illustrator of the manga series. The cast of characters is diverse and loveable, making you invested in their struggle and sacrifice (Huuughes). With the polished animation and superb action sequences, the quality of the show is always at its best. With the happiest, most satisfying ending ever and an amazing soundtrack as icing on the cake, Brotherhood doesn’t miss a beat. Gurren Lagann started out with a lackluster beginning, and at times I doubted its potential to get better. Fortunately, the show is fairly quick about forgetting its silly roots and, with a couple of successful risks, goes spiraling in an entirely new direction. I was surprised at the deep, intriguing story the whole show had come to build towards and wondered why the writers even bothered with the silly stuff to begin with. While only a few of the action scenes in the show garnered a jaw-dropping reaction out of me, I was more invested in the character’s struggles and the amazing story rather than the fights. Gurren Lagann‘s ending is bittersweet, but unlike the original Fullmetal Alchemist, it still manages to be compelling and have closure (even if it still bothers me to this day). The soundtrack is solid with a few outstanding songs, though my favorite track outshines the rest with its epic, unique combination of opera, rap and orchestrated melodies, though it isn’t played in the show nearly as much as it should have been. Since I haven’t seen very many anime series, I’ll admit my scorings list is pretty minuscule. But if anyone has any suggestions of shows I should watch, let me know! My current list of things I shows I need to watch or finish watching includes Trigun, Cowboy Bebop, Code Geass, Escaflowne and Samurai Champloo. If you have any comments about the rankings I gave to the above titles or other shows I should look into, I’d love hear your thoughts! I think the problem is that while the ending of Soul Eater certainly isn’t bad, it just felt like a bit of a letdown. The entire series had a ton of awesome moments, and then in this final important battle to save the world, the solution isn’t some brand-new attack or power or team-up ability…it’s friendship and courage. It almost felt like a copout after 52 episodes to get to that point. I still really like the series overall, but the ending left a bad taste in my mouth. You’re certainly right about there being much worse endings out there. I’d toss Evangelion on the list as well. Bleh. Did you have a chance to watch the movie Death Note, parts one and two (three isn’t connected)? I think I enjoyed the movie more than the anime, which I didn’t expect. The live action movie? No I didn’t see it. I heard it was good though, I just never got around to seeing it. A friend just recommended Monster to me not too long ago. I’ve heard positive things about it, so it’s definitely something I’ll consider looking into. Hah hah, I haven’t seen either of those shows, but I’ve heard that OHBHS is hilarious.